When Hildegarde Flanner, then a 24-year-old student of the University of California, first smelled the smoke, she was in her front yard with her mother, pouring hot water down an ant hole. The insects had migrated closer to their house in the past few days, and they were trying to prevent them from getting near the stored sugar. Halfway through their task, plumes of ash had begun rising up from the horizon, and the air became thick with the scent of burning eucalyptus. Flanner walked to the fire station around the corner and found it deserted. The spaces that the fire trucks normally occupied were empty. Returning to the yard, she twisted the knob on the garden hose. A few drops of water dripped out, as though the entire neighborhood had started to water its lawns at the same time. Surely, Flanner thought, if there were any real danger, they would have been warned. But as the sky darkened further with the smoke that did not look so far away, she and her mother were seized with a sense of foreboding. They ran into the house and dragged out, pushing and kicking, the large metal barrel of coal oil they used sparingly for heat, fearing an oil-fuelled explosion should the fire reach their doors. With the wildfire wind whipping through their hair and wrenching their hats from their heads, they caught a passing car down the hill to Shattuck Avenue. When they looked back up to their home, not even 10 minutes later, the view was already obscured by a wall of stone-gray smoke. Behind it, their home burned. Surely, Flanner thought, if there were any real danger, they would have been warned. Beside her, her mother fell, crying and weeping. The barrel that they had taken precious time to evacuate would be consumed in the path of what was no longer a small bushfire and would fuel its rampage. They had done it for nothing. Flanner’s memoir “Wildfire: Berkeley, 1923,” published in the New Yorker magazine in 1974, recounts the harrowing day of Sept. 17, 1923. According to then-campus professor of forestry Woodbridge Metcalf’s “Hill Fire Protection, Near Berkeley, California,” a dry autumn day and a spark from perhaps a stray cigarette lit up a bush 3 miles north of the city. The resulting blaze fanned its way toward the eastern city limits, bolstered by wind and under the cover of its own thickening smoke. As stated by the National Board of Fire Underwriters’, or NBFU, report on the 1923 fire, the resulting inferno demolished 584 buildings in four hours and left 4,000 people homeless. In contemporary photos taken by The Daily Californian, groups of campus students, assembling to the ringing of the Campanile, seized hoses and pointed them toward the blazes. Others scrambled to help evacuate residents and many of their belongings from at-risk areas. They could scarcely make it to safety in time, and many of the possessions, piled up outside the buildings, were consumed altogether, according to Metcalf’s account. The city’s fire department, though adept at putting out local fires, was woefully underprepared and underequipped to combat a conflagration of that size, wrote then-campus professor of forestry Emanuel Fritz in “The Berkeley Fire: Written a Few Days After the Berkeley Fire of Sept. 17, 1923.” There were no fire-detecting or predicting mechanisms besides the position of a single ranger appointed just a year before — the Berkeley Fire Department, or BFD, only found out about the blaze when it responded to a resident’s call at 2:05 p.m. in the afternoon, as reported by the NBFU. By that time, the fire had already been tearing through the hills for 14 to 17 hours. In Berkeley, there has come to be a sort of timelessness to a smoke-shrouded sky. There was nothing separating the limits of the city from the grassy hills, wrote Metcalf. Nor were there firehose capacity water supply lines ringing the perimeter to allow for containment before the fire reached the urbanized areas. While engine hoses received adequate supply from the 16-inch wide mains near La Loma Street, the NBFU report specifies that a couple hundred feet to the west are only 4-inch, 6-inch and even 2-inch wide mains. Firemen had to draw their water from the pipes that fed garden hoses, which did not even allow for simultaneous use, leaving engines sitting helpless while each drew their water one at a time. The overwhelming demand also led to reduced static pressures, rendering what water they could obtain useless for hosing down roofs. As the flames progressed further, they disrupted connections from the reservoirs — approximately 3,700,000 gallons of water were lost as a result. In the end, it was only a serendipitous shift in the wind, pivoting west and slowing its pace from 25 to 28 miles per hour to 6 miles per hour, that allowed the fire department to begin a pushback. Around that time, the requested aid from Oakland had arrived, driving the fire back before it could cross Shattuck Avenue. By the time auxiliary engines and crewmen from San Francisco, Emeryville, Alameda, Richmond, Piedmont and Hayward had arrived, much of the danger had thankfully passed. That night, Flanner and her mother took shelter at a San Francisco hotel. Flanner tossed and turned, her thoughts lighting upon each cherished object that had perished in the flames, all the mementos collected along her actress mother’s trips: the pieces of furniture in different styles from different homes, the wide collection of silverware, the two barrels of kitschy china knick-knacks painted by their enthusiastic, if unpracticed, aunt and cousin. During the days of painful recovery, the counts of losses continued to rise. One thousand students now had no place to live, and many professors, including former UC president Wheeler, saw their homes and their treasured collections … go up in smoke and ash. Upon returning to the ruins of their home the next day, Flanner took in the scene and noted numbly how the pieces of china, their patterns burned away but forms still distinguishable, crunched and shattered under their feet. The metal oil barrel, which had weighed heavily on their minds since the incident, had miraculously remained intact, its contents sealed and unable to cause harm, among the ashes. During the days of painful recovery, the counts of losses continued to rise. 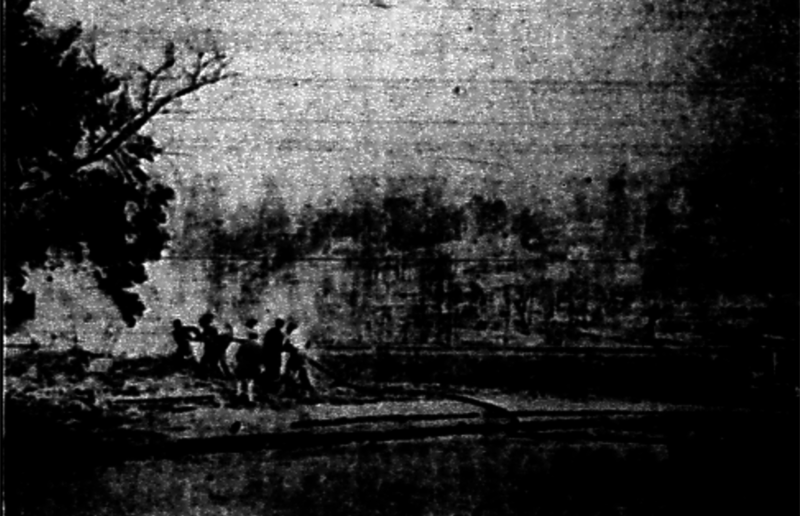 One thousand students now had no place to live, and many professors, including former UC president Wheeler, saw their homes and their treasured collections, some of which included thousand-volume libraries and compilations of their writing and research, go up in smoke and ash, according to an archived Daily Cal article from 1923. The difficult days, however, also saw the school come together as a community. After all small, remaining fires were put out with the assistance from hose-bearing student groups, another Daily Cal article broadcast a critical campus announcement: that the campus was opening its doors to incoming students and city residents seeking shelter. The then-Stephens Union, now known as Stephens Hall, was made into a temporary hub, with food, blankets and first aid being disbursed all night long by student volunteers. Certain undamaged fraternity and sorority houses also offered lodging, and their members assisted in emergency services such as the manning of “dressing stations,” or infirmaries, at the Union. In the months that followed, Fritz and Metcalf, in conjunction with the Contra Costa Hills Fire Protection Committee, petitioned for changes in forest fire prevention and management strategies. They urged city governments to adopt more security measures. Their work and relentless appeals successfully galvanized the laying of 3,300 feet of 12-inch water mains supported by 25,000 feet of 6-inch pipes, along with the addition of 68 fire hydrants around the perimeter of the city, wrote Metcalf. These adjustments, along with the addition of watchtowers to spot igniting fires and an upgrade in the number of staff on patrol, according to the city of Berkeley’s website on the history of the BFD, shored up Berkeley’s defenses and set the foundation for future improvements in equipment, technology and strategy. The difficult days, however, also saw the school come together as a community. “Death is too small an urn, and memory / Scarce deep enough to be their burial-vase”, she wrote. Yet memory can sustain the present just as well as it entombs the past in words of remembrance. As we hurry to class on a campus once again veiled in smoke, the air tasting of ash, an image resurfaces: students lined together in a row formation, each supporting a section of the hose, strong enough to fight fire.